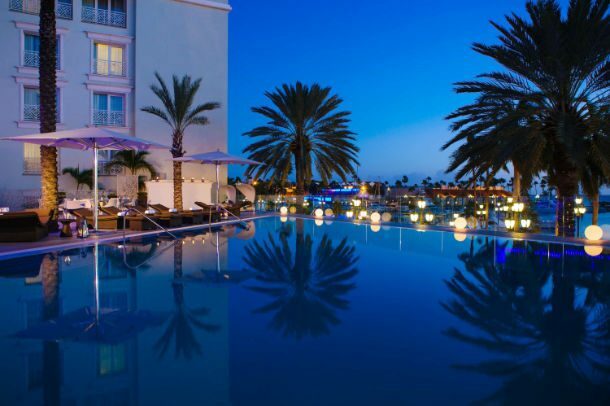 Located in the heart of downtown Oranjestad, near all of the best shopping and nightlife, sits the beautiful Renaissance Aruba Resort and Casino. The seaport casino, built within the majestic port, is sure to entice adult wedding guests. 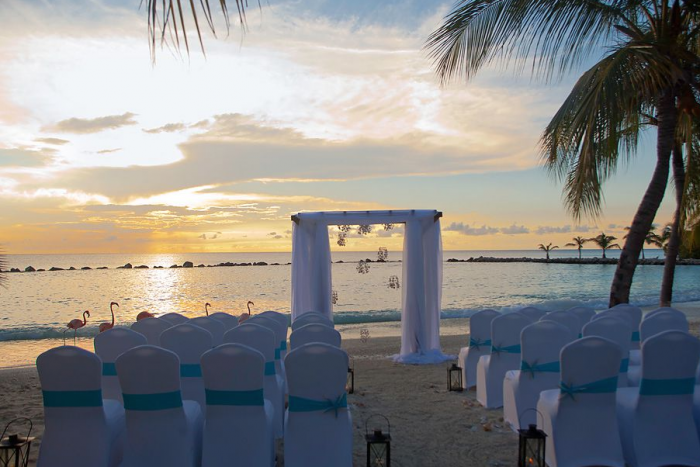 Your wedding ceremony could draw inspiration from how beautifully lit up the resort is at night and during the day there will be plenty of time to explore the town, relax pool or beachside, or soak in the retro and sophisticated decor. A complimentary boat pulls straight into the lobby and takes guests to a private island with flamingos and serves as Barcelo’s beach. This is also a wedding ceremony location. 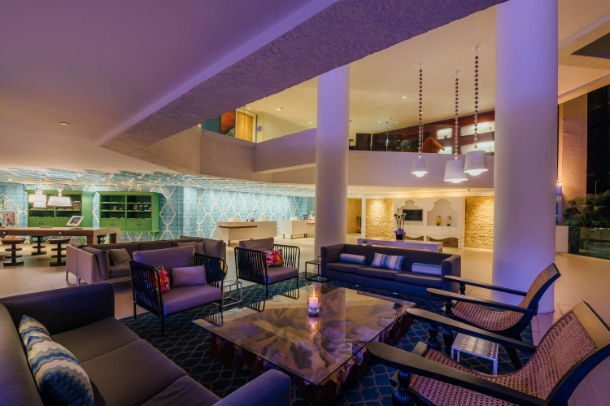 The resort is split between a family and adults-only section, offering two ways for your guests to enjoy themselves. For a unique event book a cocktail party at the rooftop infinity pool. 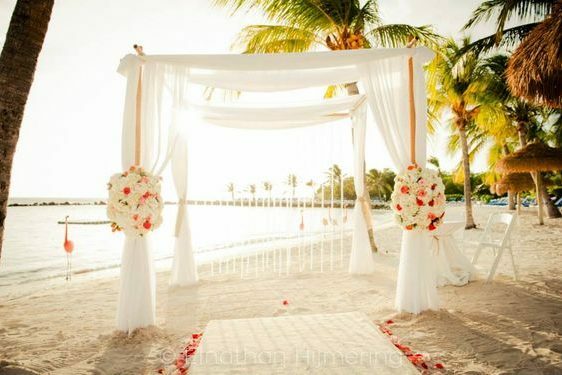 The most popular way to get married at Renaissance Aruba is a-la-carte, allowing you as much or as little as you want. Every wedding includes a planner. Upgraded packages, additional guests, and add-ons are available for an additional cost. Ballroom – 1000 guests max, Private Island – 200 guests max, Festival Plaza – 200 guests max, Ocean Suite Beach – 100 guests max. The resort hosts a maximum of 2 weddings per day. $180 – $320 average price per night per 2 adult occupancy. Rooms include private balcony, daily coffeemaker and free wifi. Children 5 and under are free under the all-inclusive plan. There are 556 rooms with resort and ocean views. Due to the sprawling property grounds Renaissance Aruba is recommended for more active guests. The resort sees high occupancy from April all the way through early December. This hotel allows a maximum of 2 adults per room, or 2 adults and 2 children per room 12 and younger, in specific suites. The resort is located 3 miles from the AUA airport.